Description: Two antique world maps on one sheet. 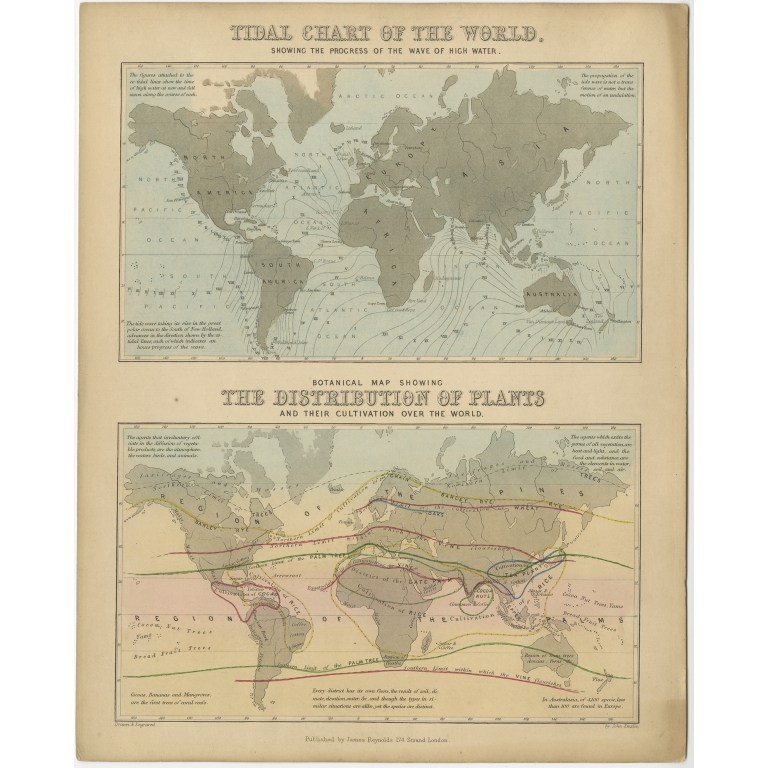 The upper map is a tidal chart of the world and shows the progress of the wave of high water. 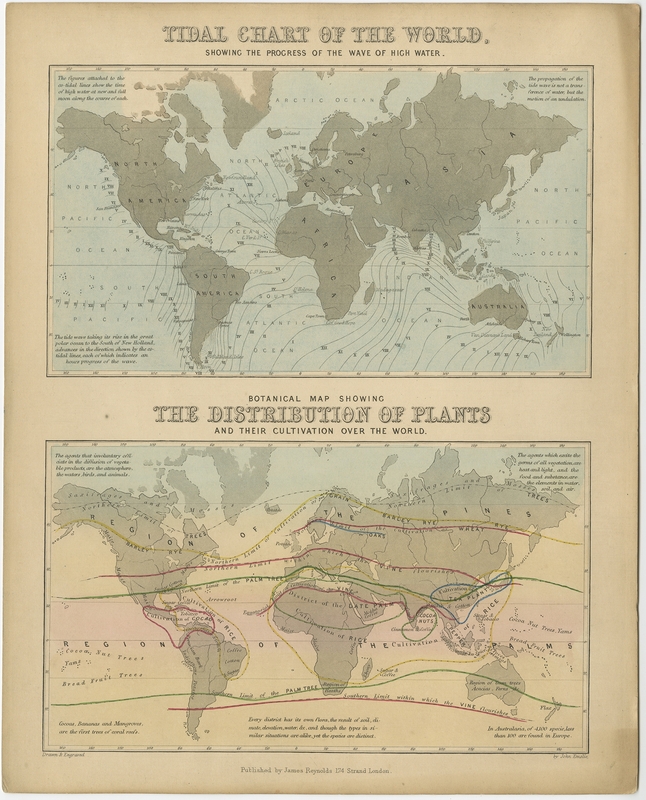 The lower botanical map shows the distribution of plants and their cultivation over the world. Originates from 'Geographical Diagrams '.